Is your work inbox the bane of your existence? Do you and your team waste hours of potentially valuable productive time forwarding, CC’ing and losing focus thanks to incessant email notifications? Email can prove to be a distraction and a time-waster for businesses both big and small. So, since we’re already helping hundreds of businesses save time with our Direct Debit management services, we thought we’d take a few minutes today to introduce you to Boomerang – an app that could make a big difference to how you and your colleagues use email. – 80% of emails sent concerned information better transmitted verbally – A “Think Twice” initiative cut total yearly emails by 54% (execs) 64% (non-execs) – This initiative saved 10,400 hours annually, company-wide. Yet your approach to email needn’t be so radical. In fact, if you want to make improvements with one small change, we seriously recommend taking a closer look at Boomerang – an app designed to make email more efficient. Although it is not yet up and running for Outlook, any Gmail account operated via Safari, Chrome or Firefox can be made far slicker with this bit of kit. Schedule emails to send at a later date Do you have time-sensitive emails to send? Instead of coming back to your inbox to send them at the right time, prevent disruption to your planned tasks by scheduling emails to leave your inbox at the ideal time for you. Don’t get distracted and never miss a deadline ever again, this feature is especially useful if you’re working across time-zones. Keep your inbox clutter-free but never lose track of an email In a busy inbox it can be hard to see the wood for the trees. Losing important communications is a big problem, but feeling swamped is no good either. Boomerang allows you to clear emails from the inbox, but choose a time for them to reappear so you can follow them up when you’re ready. Receive a reminder when you need to chase an email up Keeping track of clients and correspondents can be time-consuming and confusing. 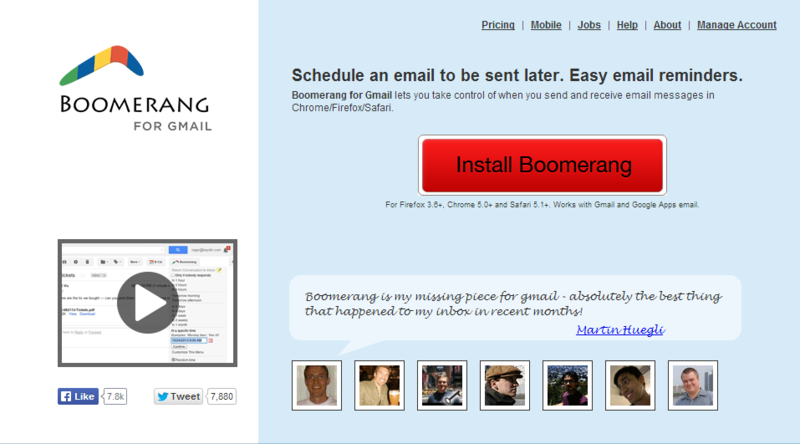 Boomerang can be used to remind you when an email has not been replied to and you need to follow it up.  2 days, 1 week, a month – select your time-frame and never overlook another key contact. We think you’ll be impressed by this smart little app and, if your business suffers from over-stuffed inboxes, a tool of this nature could make all the difference. We’d love to hear your thoughts too.